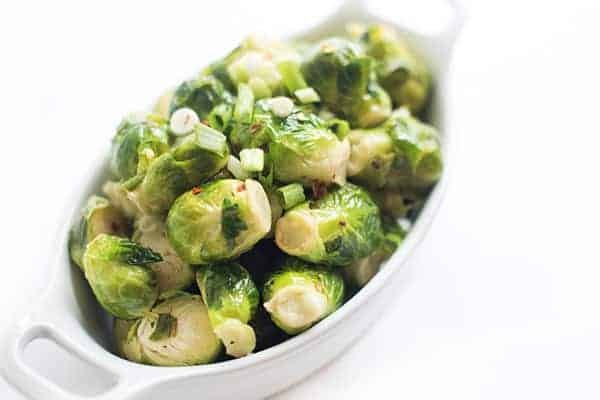 Oven Roasted Brussels Sprouts with Bacon is a simple, five-ingredient side dish recipe loaded with flavor and full of health benefits. Ready or not, Thanksgiving is right around the corner! Are you ready? 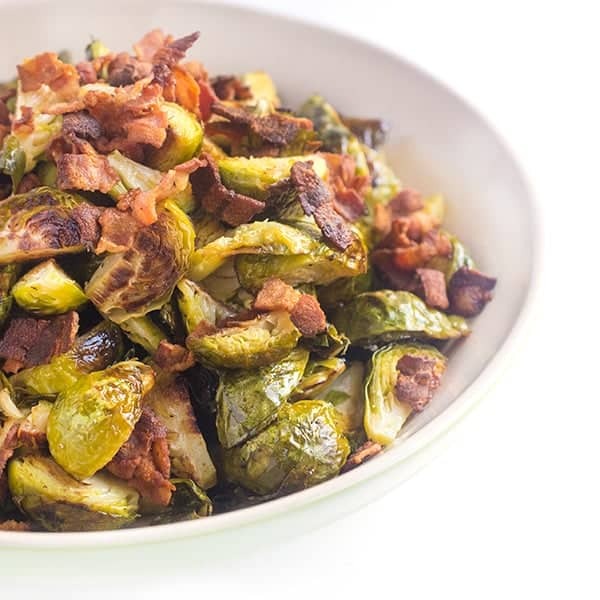 If not, I’ve got a 5-ingredient holiday side dish recipe that is not only packed with flavor but easy to make: Oven Roasted Brussels Sprouts with Bacon. 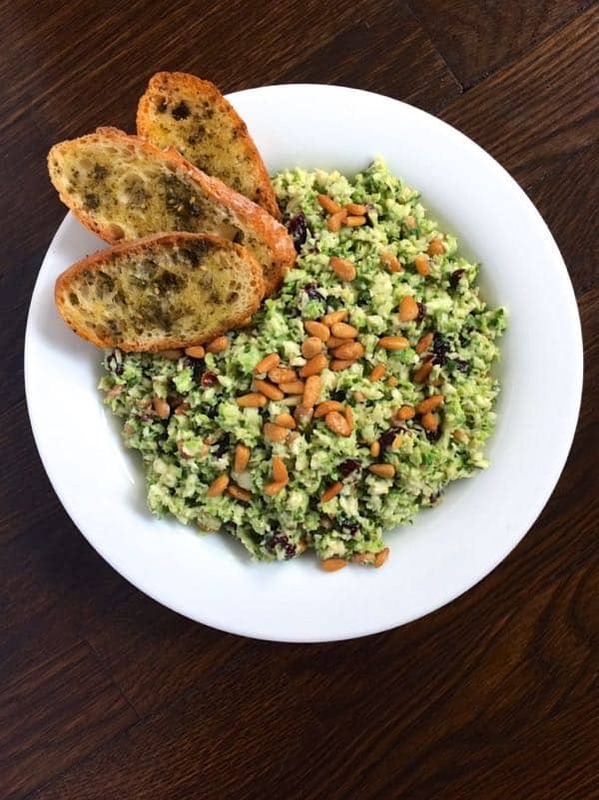 As I mentioned when I shared my Roasted Cauliflower with Jalapeño Caper Vinaigrette recipe recently, I always sign up to bring a vegetable dish during the holidays. 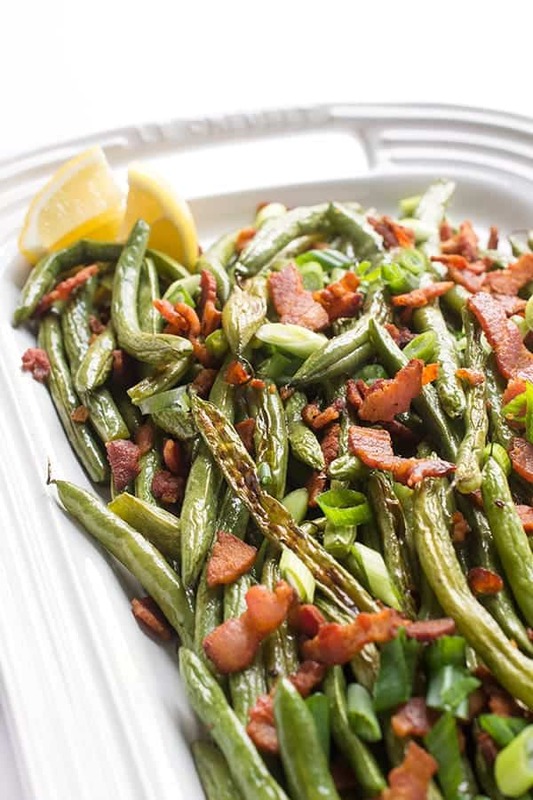 Since I know there will be no shortage of indulgent classics like stuffing, mashed potatoes, marshmallow topped sweet potatoes and more, I like to be sure and bring at least one dish that is easier on the waistline. Well guess what always happens? Everyone thanks me profusely for introducing a vegetable to the holiday table and it’s usually the first dish to be finished in the buffet. As an added bonus, these Oven Roasted Brussels Sprouts with Bacon are naturally gluten free and paleo-friendly. Boom. 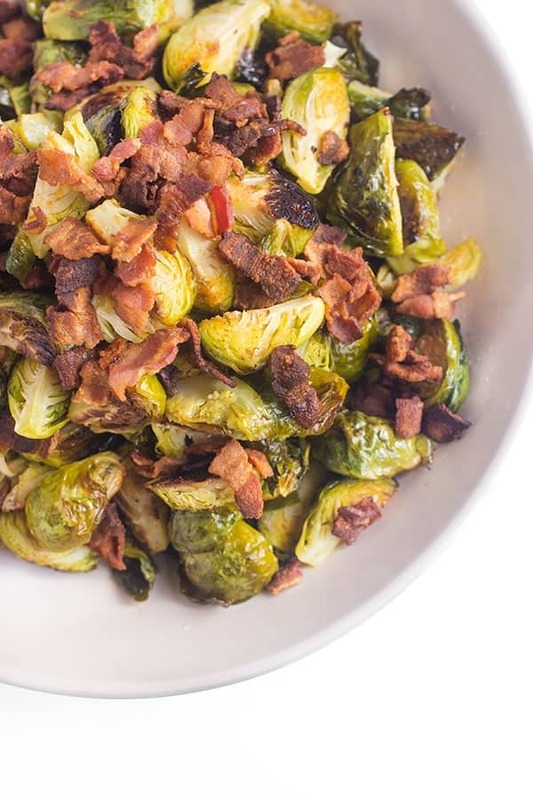 Oven Roasted Brussels Sprouts with Bacon is a simple, five-ingredient side dish recipe loaded with flavor and full of healthy benefits. Add Brussels to a large bowl and toss with olive oil, salt and pepper. Spread in a single layer between both pans and roast until brown and caramelized, about 40 minutes, moving the Brussels around with a spatula once about halfway through. 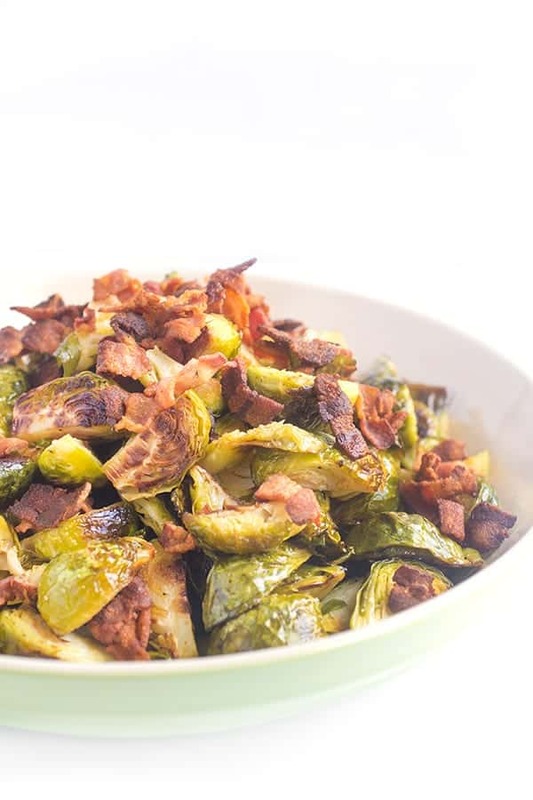 While the Brussels are roasting, sauté bacon slices in a frying pan until crispy. Reserve on a plate lined with paper towel. Remove roasted Brussels from the oven and place in a large serving platter. 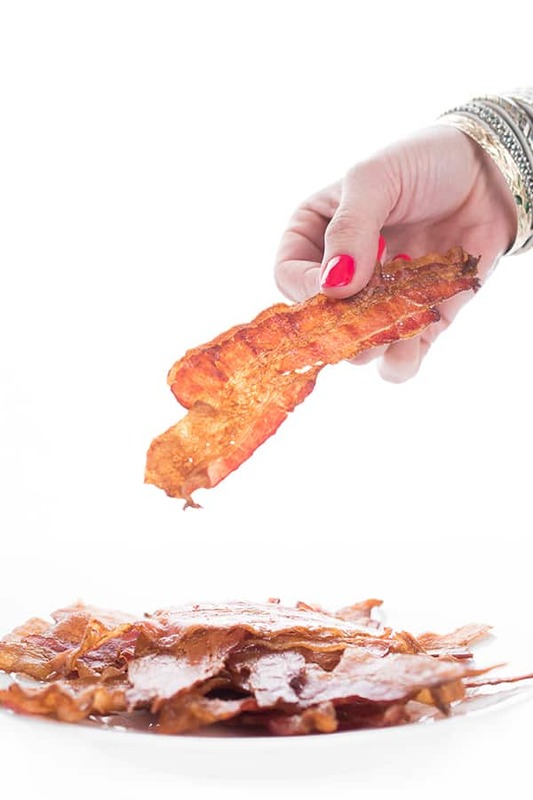 Sprinkle cooked bacon and lemon juice on top to serve. 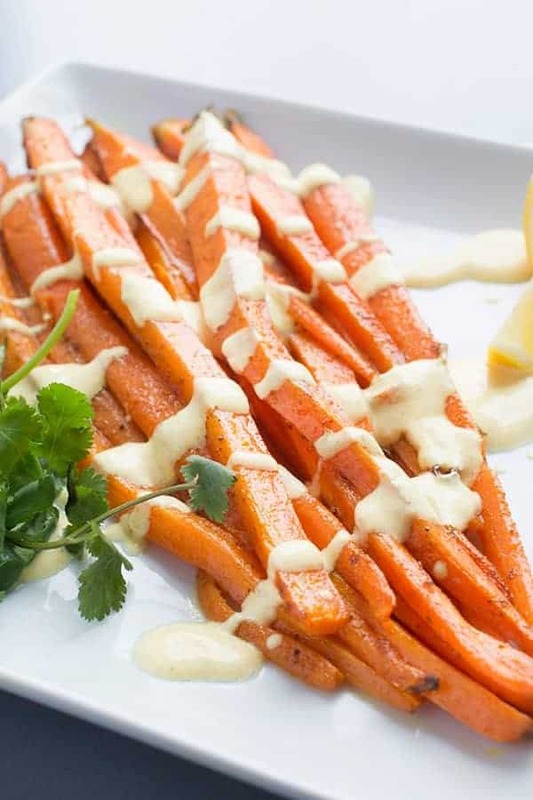 Garnish with fresh parsley. For other great recipes check out these sites! Made these just to try before Thanksgiving. Delicious! I’m so happy to hear that! I hope you love these Susan!